Back to the Grande Palais for yet another monumental Chanel fashion show, courtesy of fashion god Karl Lagerfeld. On a set embodying Gorges du Verdon, in the South of France, models walked alongside a huge waterfall, over a water pool. Rather fittingly, to go with the water, within the collection there were a lot of waterproofs, in the form of clear plastic accessories. At least if it rains next summer we can keep dry and look good. Also, check out the waterfall fringing on literally everything. Basically dressing up as a waterfall is going to be in next season? No? 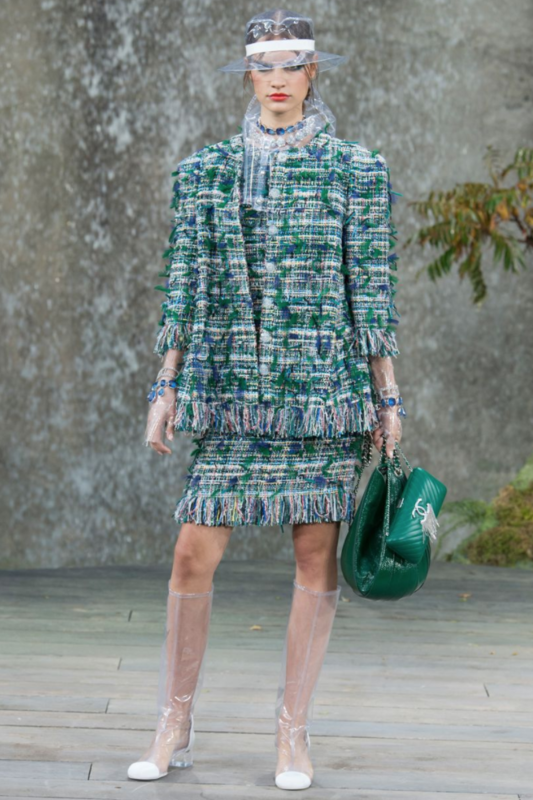 In all seriousness, the trend vibes we are getting from the collection is Sixties Futurism, in the most Chanel way possible. Check out the collection and previous Chanel collections here. 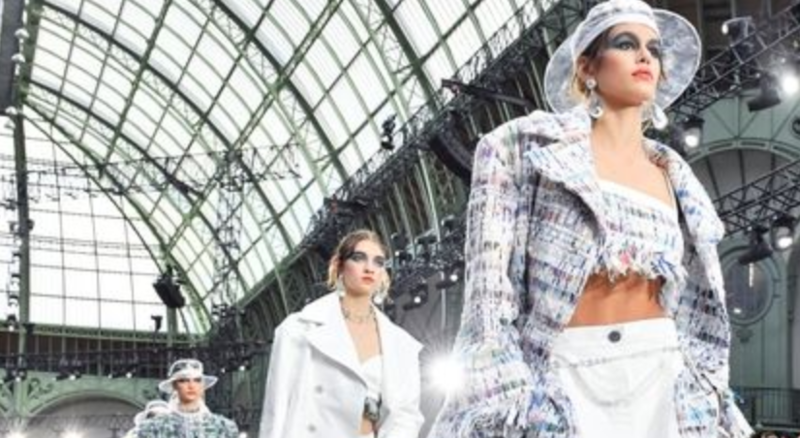 See the looks from the Chanel Spring Summer Ready to Wear 2018 collection below.